Parties split on approach to carbon pricing on P.E.I. In the midst of a heated national debate over carbon pricing, and with the issue flaring up in Alberta's campaign, none of the parties on P.E.I. have so far tried to push this issue into the spotlight. Just days after Liberal leader Wade MacLauchlan set the date for P.E.I. 's upcoming election, the federal government released a climate report saying Canada has been warming twice as fast as the rest of the globe. But in the midst of a heated national debate over carbon pricing, and with the issue flaring up in Alberta's campaign, none of the parties on P.E.I. have so far tried to push this issue into the spotlight. The PCs aren't saying much about their plans for carbon pricing, except that a PC government would not have P.E.I. join other provinces fighting the federal government's carbon tax in court. If elected, the Greens and NDP say they would increase gas taxes on P.E.I. and use the proceeds to fund a carbon tax rebate program. P.E.I. 's carbon levy kicked in on day six of the election campaign — probably not what the Liberals were aiming for last fall in the legislature when they passed one bill to decrease gas taxes starting Jan. 1 and a second bill to push them back up again — and then some — on Apr. 1. The increase when the carbon levy came into effect was 4.4 cents per litre on gasoline, with HST added as a tax-on-tax pushing that up to an even five cents. But MacLauchlan said with the decrease three months earlier, the effective increase was just one cent — with a further one cent increase to come in 2020. "The price itself is something that people will contend is going to discourage people from driving a little farther, or think about how efficient their vehicle is," MacLauchlan said of the increase. 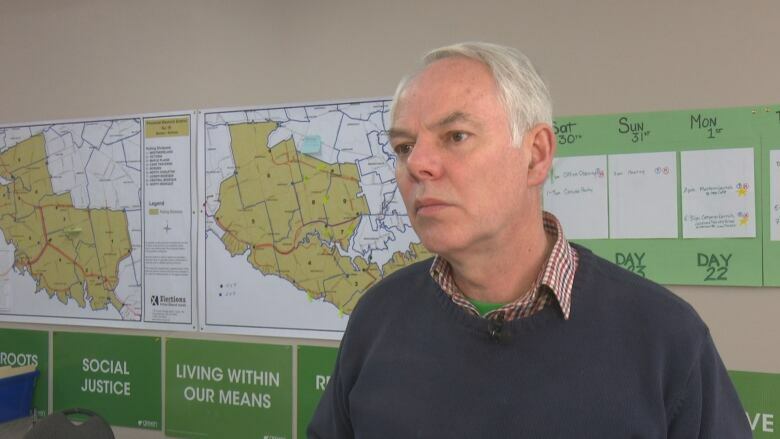 Green Leader Peter Bevan-Baker called the Liberal plan "politically motivated," and said "it's not going to produce the ends that we all want, which is to reduce carbon emissions." Bevan-Baker took issue with the fact the Liberals are using carbon tax revenues to eliminate fees for drivers licences and to reduce vehicle registration costs. "They are giving the money back to those driving around in cars, they're essentially just circling that money around," he said. Bevan-Baker's contention that P.E.I. 's carbon tax is too low to influence emissions could be backed up by P.E.I. 's Department of Environment. In a document addressed to the premier dated March 2017 — before the province settled on its approach to carbon pricing — the department said a carbon tax "is likely the best approach" to put a price on carbon, but warns that "to be successful, carbon taxes must be high enough to change behaviour." "If the tax is not high enough, people do not change their habits and no significant [greenhouse gas] reductions will be seen," it said. CBC obtained the document through freedom of information. 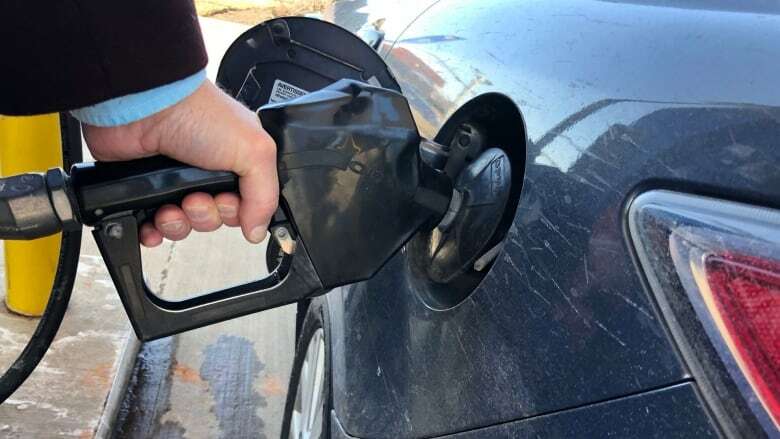 The Green Party says it would cancel the drop in gas taxes that came in Jan. 1, leaving Islanders to pay the full carbon levy of 4.4 cents per litre on gas. And it would use the revenues to provide rebates directly to Island households, much in the way the federal Liberal carbon tax does. "Low-income Islanders would end up with more income in their pockets but we would be achieving … the purpose of a carbon tax by reducing emissions," Bevan-Baker said. The Green platform also pledges to make P.E.I. carbon-neutral by 2045. 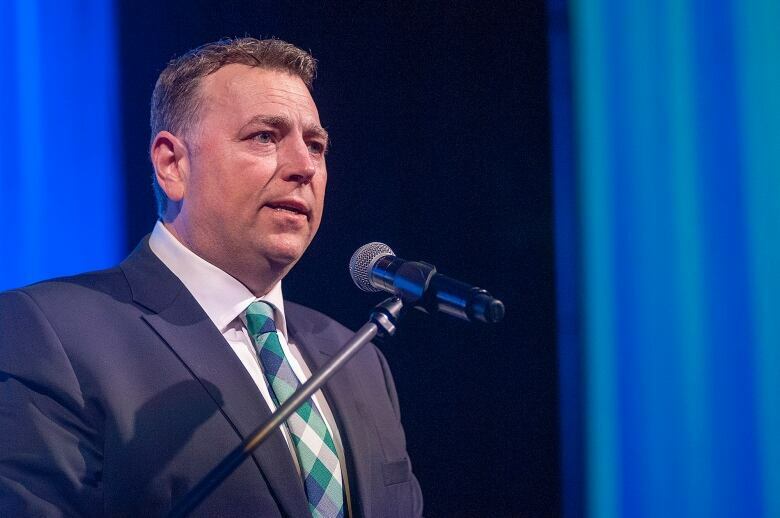 PC Leader Dennis King is speaking out against P.E.I. 's carbon tax, but didn't clarify whether his party would keep it or scrap it. "I think everybody in Prince Edward Island is aware that we need to have a carbon reduction plan," King said. "As an Island province we have to be more wary than most of the changing climate and the impacts it will have on the future of Prince Edward Island." King said P.E.I. 's carbon levy "is a punative tax for Islanders simply because… most of our population is rural. If you live in Tyne Valley and have to work in Summerside you have one option to get to work and that's to drive a car." King wouldn't say if his party would scrap the carbon levy, but did say a PC government would not join provinces currently contesting the federal carbon tax in court. 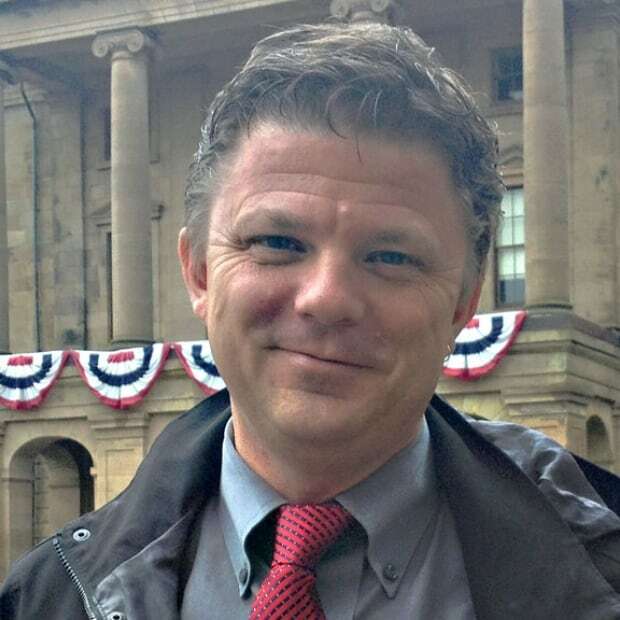 He said he would like to sit down with the federal government to find a "made-in-P.E.I." solution to reduce carbon emissions, preferring a system that would "reward those individuals and companies who are doing the work now, and to incentivize those who wish to do better to reduce the carbon." The PC platform includes a pledge to introduce incentives for solar energy (something the Liberals are also proposing) as well as an incentive for electric vehicles. The PCs also promise to "work with Islanders to make a commitment to achieve a carbon-neutral society." Like the Greens, the New Democrats are proposing to eliminate the Jan. 1 drop in gas taxes, thus pushing up pump prices. The NDP says it would split carbon levy revenues — providing half in rebates to low-income households and using the other half to fund initiatives to further reduce emissions. Leader Joe Byrne says the way to reduce emissions "is not just to rely on an individual's response but find a collective response in our economy. To say 'How do we find ways to produce energy? How do we find ways to get around transportation?'" 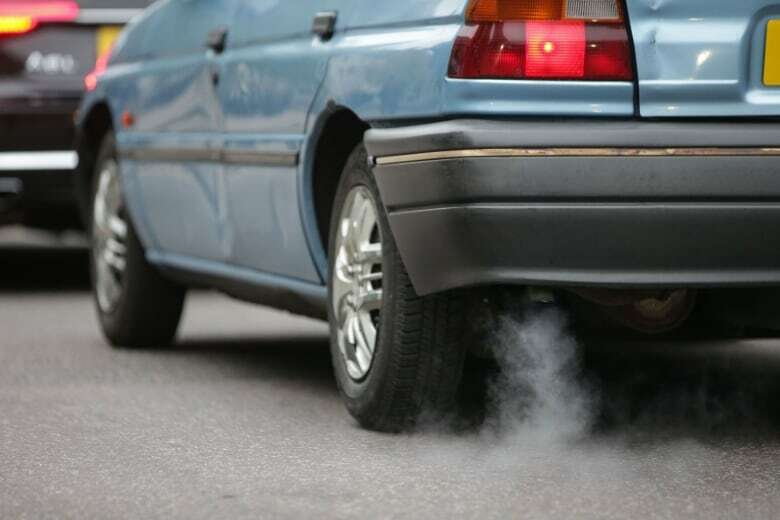 "People can be happy about not having to pay for a licence, but saving the planet means that we have to do more than just save our own money on our licence. We have to be able to dedicate money into collective actions." The NDP platform commits to developing a public transit system operating from East Point to North Cape. Under the deal worked out between the P.E.I. government and Ottawa, home heating oil and propane are both exempt from the province's carbon levy, but those exemptions will be reviewed in 2020. It's also not clear whether P.E.I. 's carbon levy will continue to increase past 2020 in step with the federal price on carbon. MacLauchlan said Islanders are taking advantage of millions of dollars in federal funding to retrofit their homes and can reduce emissions without having to put a bigger price on carbon. 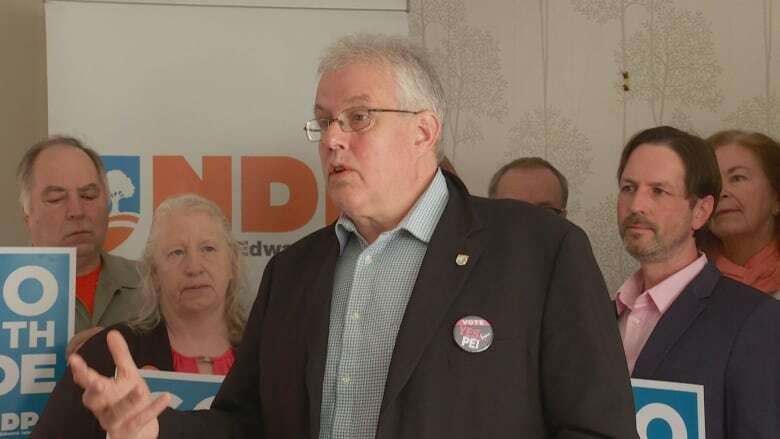 "In the year that we're now in, Islanders have installed or are about to install 4,000 heat pumps which is going to displace another 12,000 tonnes of greenhouse gases," said MacLauchlan. "If we can continue to show the federal government that Islanders will move to cleaner energy without the imposition of a carbon price … I say let's keep going … with the incentives that people are taking advantage of."